"It was unknowable then, but so much of the progress that would define the 20th century, on both sides of the Atlantic, came down to the battle for a slice of beach only six miles long and two miles wide." 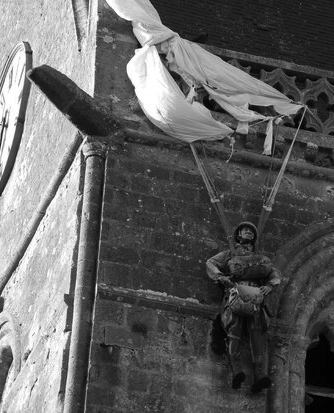 On the night of June 5, after an error drop over an enemy-controlled town, the American paratrooper John Steele's parachute got caught in one of the pinnacles of the church tower, leaving him hanging from the side of the church. The wounded soldier hung there for two hours, pretending to be dead before German soldiers took him captive. Steele later escaped captivity and rejoined his division. That brave soldier was awarded the Bronze Star for valor and the Purple Heart for being wounded in combat. To this day inside that church, you can admire a stained-glass window dedicated to the Allied paratroopers that liberated the city. found at many of these. Second stop of the tour is Utah Beach, the landing stage of the Americans Fourth Division under the command of Theodore Roosevelt Jr., son of President Theodore Roosevelt. Here too stands a great museum with many vintage materials and it should be mandatory to visit the beach. The third stop, Pointe du Hoc, is a cliff where the Germans had built bunkers for heavy guns. Omaha Beach is the fourth stop, the beach where the Americans of the 29th Infantry Division landed. 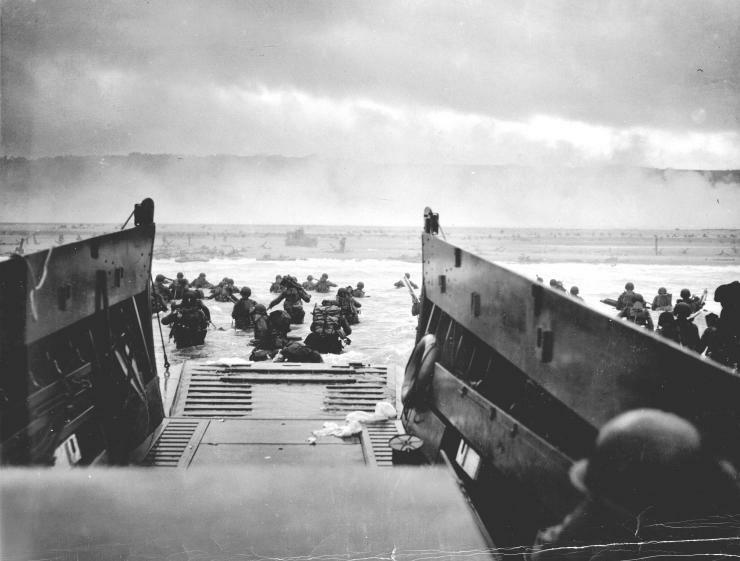 The beach was a witness to one of the bloodiest battles of D-Day. The Allies won thanks to the sacrifice of the engineers who managed to breach the German fortifications. The fifth stop on the tour is the German battery of Merville where some of the cannons that attempted to prevent the allied landings on the beaches of Normandy still stand. The sixth stop is The Port of Artificial Arromanches. After the British had conquered the beach (code-named Gold Beach), construction of a large artificial harbor started immediately with intentions intended to accommodate the enormous amount of men and materials needed for the advanced of the Allies. A museum reconstructs precisely this titanic engineering feat and at the beach you can see some of the caissons that made up the harbor. The seventh stop is Pegasus Bridge, located on the River Orne. Made famous by the film The Longest Day, the 6th British Airborne Division were the ones to shoot the first shots of the battle here. Major John Howard and his men captured the bridge intact and kept it until the arrival of reinforcements. And what an arrival, marching to the sound of a bagpipe. The Memorial Pegasus describes every detail of this company and you can admire the original bridge, nowadays moved inside the museum. In addition, you can admire gliders identical to the ones they used back then. The final stop of the tour is the American Cemetery, where ten thousand fallen Americans lie under a vast expanse of white crosses, a sight that will be ingrained to your memory. Among the many fallen lies General Roosevelt Jr., who died in Normandy on July 12, 1944 of a heart attack. Buried next to him is his brother Quentin, who also fell in France, but on July 14, 1918. The crosses and monument are still admirable, commemorating the many who fought and died for the freedom of Europe. Great read Private! Good job! Nice read! And just in time for the 73rd anniversary of D-Day. Awesome job Private, with a world so mixed up at the minute, I am glad that there are still bits of our history coming through in places. June 2017 Private, First Class Nemanja R. Ristanovi?